Back in the late 1980s and early 90s the two-stroke RGV250 was the closest thing you could get to a Grand Prix bike on the road. 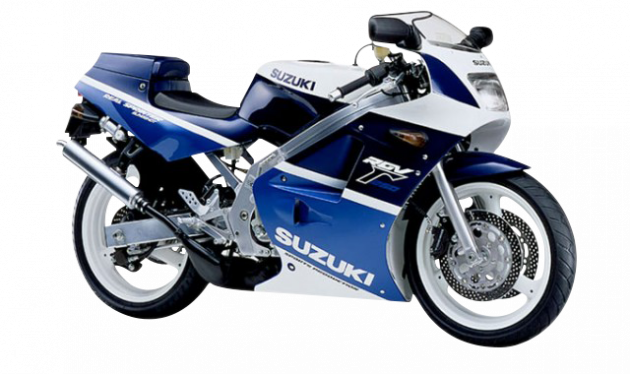 The RGV250 ran from 1987 to 1997, but they were only officially imported into the UK from 1989 (RGV250 K) to 1994 (RGV250 R). Back in the day 250cc race replicas were the sharpest handling, most frenzied, maddest things you could buy on two wheels. Nowadays the RGV250 is a modern classic and is probably a bit slower and softer than you’d remember. It still looks good, sounds amazing and the smell of burning two-stroke oil will take you right back. Put simply, it’s still sensational.